Why is it people do not respond to telephone calls, email communications, or requests for meetings? Some take weeks to respond and others do not respond at all. It’s a source of frustration across most non-profit organisations – internally and externally – when people make contact with others and there is no response or the response takes days or weeks. The frustration is within our non-profit team members and also between non-profits and suppliers. We hear excuses like “I am flat out”, “I have been really busy”, “My schedule has been nuts”, etc. Yet, these same people who are non-responsive often times expect others to be responsive to one another. They have a different standard for others than they have for themselves. There may be legitimate reasons – holidays, meetings, and other tasks. These can be managed via out of office messages or other outbound notifications to set expectations. It’s the radio silence that is aggravating to people. The unknown. You are my customer and I am your customer. We need to treat one another as customers. We ought to set service level agreements or standards of communication whereby we pledge to ourselves, and others, to be responsive in a certain length of time for online and offline communications. We can’t expect people to adhere to our standards when we do not have them for ourselves. Will self service hurt non-profit organisations? There is a flurry of self-service portals and other self-service mechanisms facing the consumer (and donor) each day. When you visit Coles, Woolworths, K-Mart, Target and others, you are encouraged to use the self-service checkouts. These checkouts can be a bit of a pain when you do something not quite correctly and the machine rejects the transaction. You know the kind of transaction where you put something in the bagging area and the register has not ret documented the purchase. “Unauthorised item in the bagging area”. Often an item will not scan. How about the constant reminder to scan your customer loyalty card? It’s all a bit much. I often times ask, “if you want me to use the self-checkout, will you be giving me the employee discount?”. These retailers are not the only ones using the self-service concept. 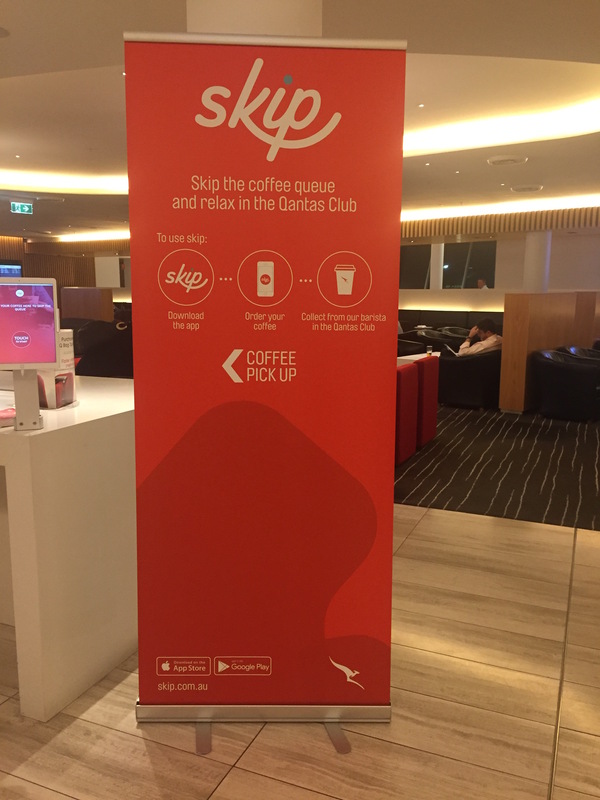 In the Qantas Lounge, flyers are encouraged to order their coffee on a self-service portal and then are directed to pick up their waiting latte at a counter. In the terminal, Qantas has about 3 employees for all of their airline check in counters helping hundreds of customers, including me, trying to figure out how to use their self-checkin machines and, additionally, their self-checkin luggage machines. For a full-service airline, their personal customer service at the ticket counter is nil compared to Virgin Australia who mostly fully staff their ticket counters. Retailers are not alone with this self-service concept. Non-profit organisations are adopting self-service to aid donors and alumni to maintain their contact details, re-print a receipt, give a gift and receive a receipt, register for an event, and for a variety of other transactions which were once made on the telephone, Post or in person. 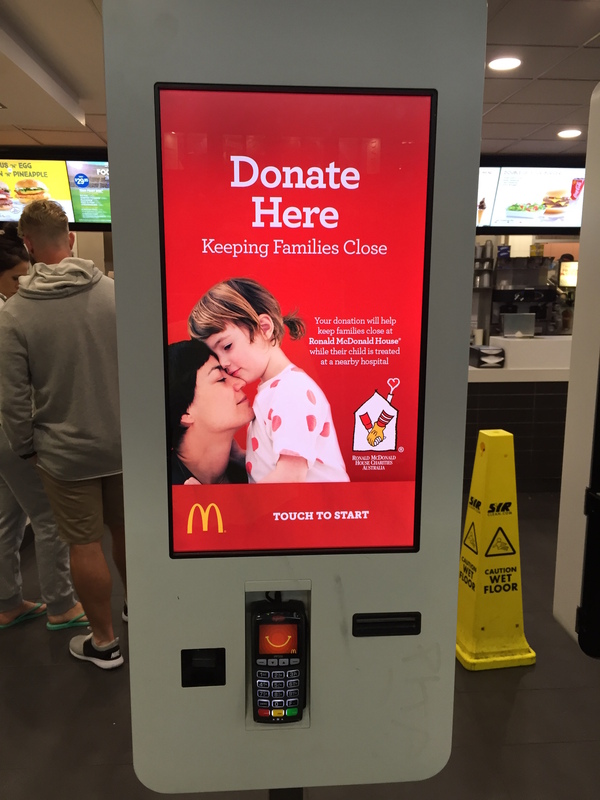 McDonald’s recently took to asking for donations on their “portal”, which is also used to order specialised hamburgers and other food. This replaces the canisters they once had on the counters to encourage gold coin donations. Today’s time-poor people expect to be able to do things fast. With speed comes a loss of interaction with the company or non-profit. And, I would argue, with the increased speed comes a loss of opportunity to “up-sell” the customer or to seek additional information or an additional gift. We also lose the ability to engage as human beings. This is not such a loss for the likes of Coles, Woolworths, K-Mart, or Target where it was like pulling teeth to get a checkout clerk to say “hello”, “how are you?”, or even to say a “thank you”. More often than not they were quite robotic (if they even said a word to you during your transaction). But, non-profit organisations and their donors expect to engage with one another. We are in the relationship business. I worry about the impact of the loss of interaction on our overall bottom line when, in fact, we are playing up the convenience, speed, and volume aspects with portals and other tools. 5 September is Include a Charity Week in Australia. What is your charity doing to be part of this campaign? Include a Charity Week draws attention to gifts in wills and offers visibility to the importance of donors, solicitors, and charities working together to increase the number of individuals who are leaving a bequest to charity. Include a Charity is a collaboration of many of Australia’s favourite charities, covering a range of causes and aspects of our community, from medical research, education, animal welfare, the environment, the arts and more. The goal of the Include a Charity campaign is to encourage more people to leave a gift in their Will, increasing the funds invested in the charitable sector and thereby increasing the positive impact these organisations have on our society. In 2015, Include a Charity became part of Fundraising Institute Australia. The campaign relies on the support of its campaign supporters, volunteers and partners, who enable us to promote this important area of philanthropy. Celebrate philanthropy. Celebrate Include a Charity Week by joining in this wonderful campaign.